The III ESRC funded seminar on Cancer & Employment has just been announced and online registration is now open. The seminar will focus on discussion of the legal and insurance industry perspectives. The questions posed will be: what are the current challenges of importance, how can we achieve better policies and practices to deal with those challenges and what else do we need to know to be able to do so? The seminars are designed to be both multidisciplinary and multi-professional. This third seminar will be held on 21st January 2016 in the Keynes Library on Gordon Square in Bloomsbury London. The Library, of historic importance, is easily accessible from Euston and St Pancras / Kings Cross mainline stations and Marylebone Station is a short walk away. 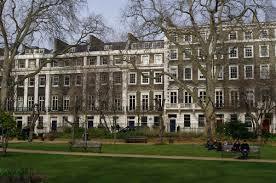 It is also served by three London Underground stations: Goodge Street, Euston Square and Russell Square. The seminar will start with three speakers who together will describe the relevant landscape of facts and challenges (morning) to stimulate subsequent group discussions (afternoon). The speakers are: Joy Reymond (UNUM), Cerys Bartley (Macmillan) and myself, Professor Tom Cox (Birkbeck). The seminar is free and refreshments and lunch will be provided. There are a limited number of places available and so early registration is advisable. Registration will, however, remain open until 14th January 2016. There will be further information on the seminar on the website of the Centre for Sustainable Working Life at: http://www.bb.ac.uk/cswl/ and on Twitter at @cswl_bbk. This entry was posted in Uncategorized and tagged :egal & Insurance Industry Perspectives, Birkbeck, Centre for Sustainable Working Life, Cerys Bartley, ESRC Seminar Series, Joy Reymond, Keynes Library Bloomsbury, Macmillan Cancer Support, Social Science Perspectives on Cancer & Employment, Tom Cox, UNUM. Bookmark the permalink.